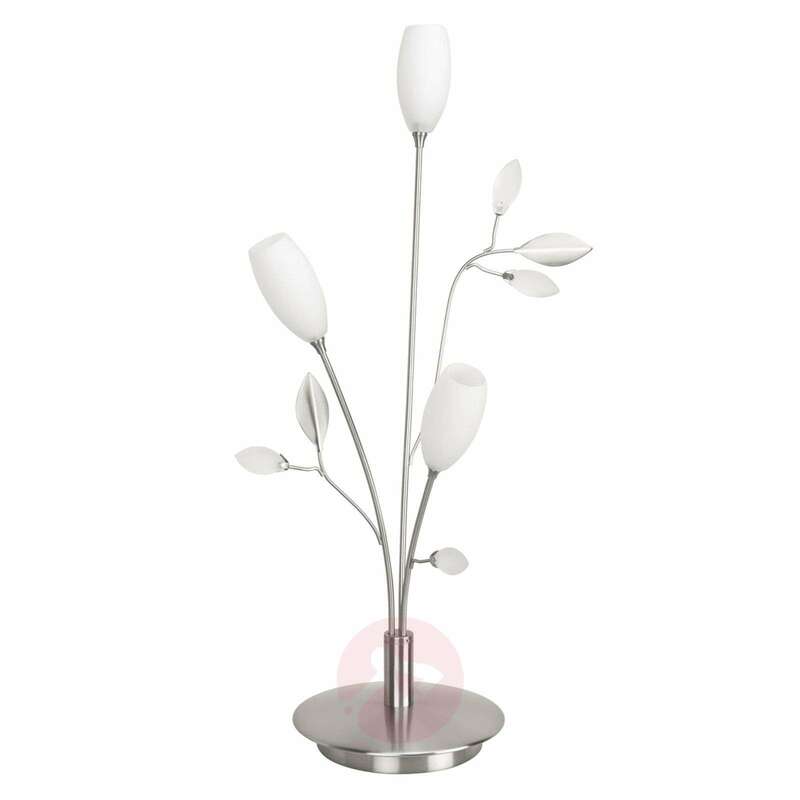 Wherever it is placed - the florally designed table lamp Grosseto in matt nickel tone is guaranteed to become a decorative jewel on cupboards, tables or even on the window sill, owing to its filigree design. 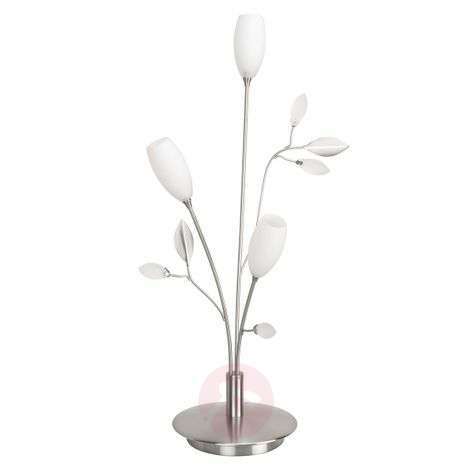 The three white satin-finished glass lampshades, which climb up the flower stems studded with leaves and tiny glass buds and which guarantee a comfortable and glare-free light radiation which is produced by the low-voltage halogen lamps situated in the interior, appear pretty much like flowers. The brightness of the light can be adjusted as required via the dimmer on the power cable.